Russian President Vladimir Putin used extremely harsh rhetoric and accused Ukrainian government of staging a terror operation against the Russian occupied Crimea. Russia claimed that Ukrainian Special Forces had attempted to breach the border between Ukrainian territory and occupied Crimea with the use of “Heavy firing”. Claim is absurd as the border is open and any subversive group could simply pass into the peninsula, invaded by Russia, in plain clothes. What make the Russian claims even more unbelievable are the recent Russian actions. Russian armed forces have been conducting “snap exercises”, that are effectively masked mobilizations of combat units, for the past few years. 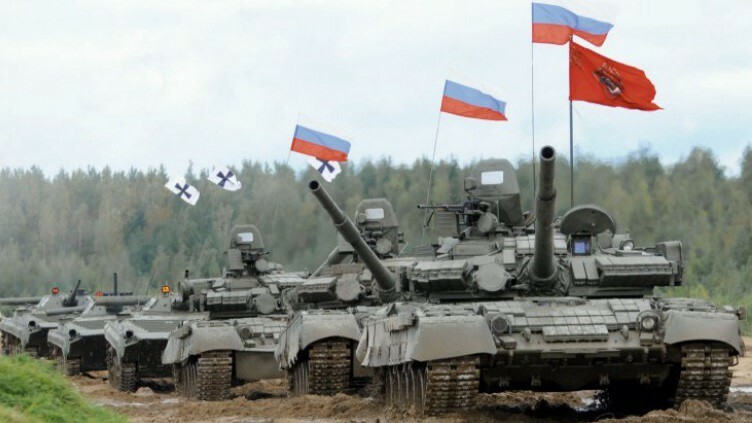 In the past two weeks Russian armed forces have mobilized at least six armies. These formations contain at least 2 tank divisions, 2 mechanized infantry divisions, 1 airborne division, 16 motorized infantry brigades, 7 artillery brigades, 4 missile brigades. Additionally at least 3 spetznatz brigades and 1 airborne division are at 24h readiness at all times. These formations do total to nearly 100 000 soldiers in well equipped, trained and mobile formations. These numbers do not include the troops that are immediately next to Ukrainian border or in the occupied Crimea. During the cold war, this kind of mobilization would have led to a full scale mobilization of the NATO forces in Europe. But after several years of “Snap drills” and “strategic relocation exercises” the west no longer reacts to this muscle flexing. Western military analysts are well aware that Russian “snap drills” have the capability to turn into full scale invasion in a few hours. Before our political machines have reached a decision the Russian army could be in Kiev… or in Riga, Tallinn, Vilnius, Warsaw or Helsinki. West needs to wake up and start preparing. NATO southern flank is crumbling as Turkey is aligning with Russia. The European nations must step up and show that they can field significant forces fast enough to counter Russia. Even nations with sizable forces, like Finland, need to speed up their mobilization and make sure that the necessary infrastructure and social cohesion are robust enough to withstand the Russian hybrid measures that are happening every day.